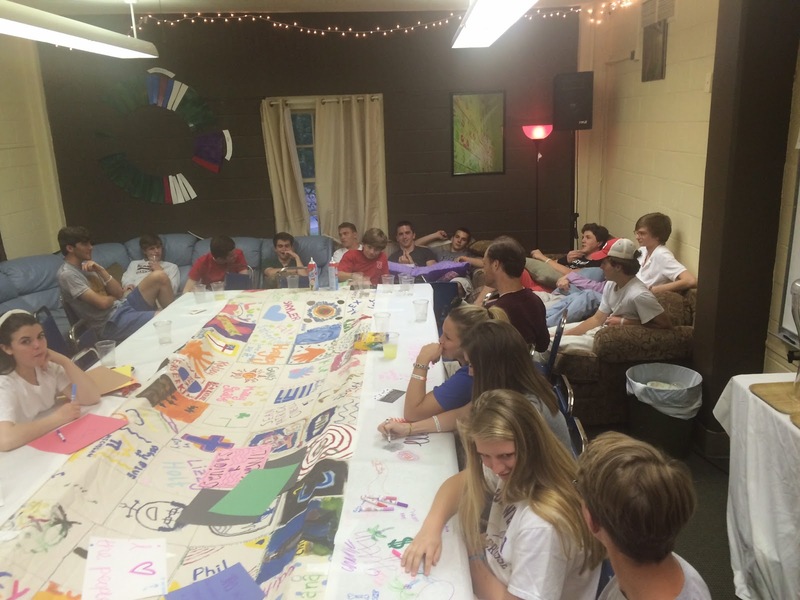 This past Sunday, all the youth gathered in the Youth Room for its final EYC of the semester. For 8 of those present, it was there last time to be at EYC as a youth. We gathered at a large banquet table to eat and to do what this group does best...just be with each other. Over the years, there has been a shift in this youth group. It has gone from a program that has loved the outdoors, high energy games to something different. It was not long ago that following every youth group event, the youth would go into the gym to play games, run around, and attempt to play half court knock-out (a very tiring game, I might add). This past year has not been that way. The popular games are no longer the games and the sporty events...they are the ones that just allow them to be with each other. This year I have been blown away by how much each member of this group just enjoys the company of everyone else. Instead of going to the gym, they stay in the Youth Room and talk and hang out. After they leave this, most of them go to Starbucks and continue to hang out. We honored our seniors this past Sunday and allowed them each to share some of their favorite memories and to pass along some advice to the younger ones in youth group. Just come. They all seemed to share how the friendships they made at EYC were the ones they knew they could count on. That it was a place they felt welcome no matter what was going on in their lives. I have had a blast this past year and wish nothing but the best to our graduating seniors! The friendships I made during my time at youth group are still the ones that are most important to me today...even after 10 years.